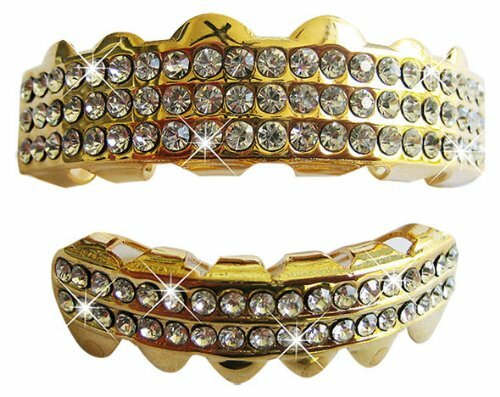 Our Grillz are 14k Plated Gold and are One Size fits all - fits to any mouth size. All Grillz sets include reusable silicone molding bars for custom fitting and easy instructions for you to fit your grillz within minutes inside your home. Each set contains 2 pcs for both Upper & Lower teeth. Instructions Included for easy molding at home within minutes. If you have any questions about this product by Big Dawgs Bling, contact us by completing and submitting the form below. If you are looking for a specif part number, please include it with your message.